The warmth of wool with the snugness of a sweater, this barn coat is both smart and stylish. 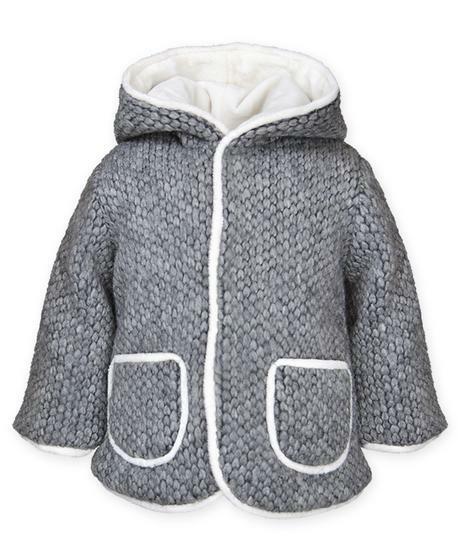 Exquisitely crafted in soft gray wool blend with trim and lining in super-soft vanilla faux fur. 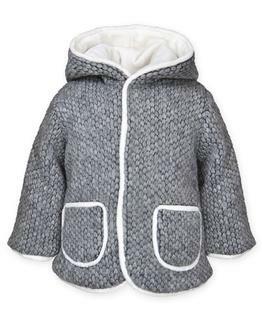 It is topped off with a fully lined hood and adorable tassel. It has patch pockets and snaps to close. Sizes 6M - 8. Hand wash cold. Do not wring or twist. For best result Dry Clean.